Within 11 days, Super Smash Bros. Ultimate has established itself as one of, if not the, biggest success stories on Nintendo Switch. In the US, it has sold over three million copies since its launch, and in the UK, it was confirmed to be the fastest-selling game for any Nintendo home console in the market’s history. 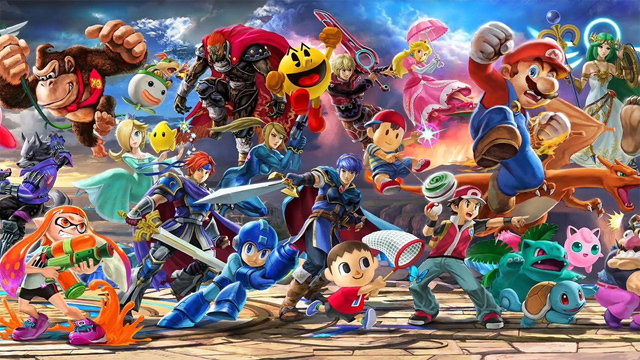 The story of Super Smash Bros. Ultimate‘s success also bled into the Switch itself, as Nintendo of America proclaims it is the fastest-selling home console of the generation, moving 8.7 million units in North America alone to date. In further success, the Switch games The Legend of Zelda: Breath of the Wild, Mario Kart 8 Deluxe, and Super Mario Odyssey each have an approximate 50% attach rate in the region. In the UK, not only is Super Smash Bros. Ultimate the fastest-selling game in the series, but it’s also the fastest-selling console game in Nintendo of Europe’s history. In fact, it sold 30% faster the ever-popular Mario Kart Wii in the equivalent three day launch period. Over in Japan, Super Smash Bros. Ultimate sold 1.23 million units in its first week, with many retailers selling out. The Switch itself dominated with an unheard of 75% of the hardware market the week of December 7th, a feat not even seen with popular systems like Nintendo DS or Wii.